Asperger’s syndrome – is an autism spectrum disorder (ASD). This condition is very similar to high-functioning autism. The main difference between the two is thought to be in language development: people with Asperger syndrome, typically, will not have had delayed language development when younger. A more detailed explanation is also available from the National Autistic Society of the United Kingdom. See also: autism spectrum disorders. Autism – See: autism spectrum disorders. Autism spectrum conditions (ASC) – See: autism spectrum disorders. Autism spectrum disorders (ASD) – are neuro-developmental conditions, characterised by difficulties in 3 main areas: communication, social interaction and understanding information. For more information, please visit Autism-Europe. Inclusion – or social inclusion, refers to the process of actively including people with disabilities in all aspects of everyday life, such as education, employment, health, family and social activities. The concept of inclusion aims to change the fact that people with disabilities have often been excluded from these aspects of life due to limitations related to their disability, and more significantly, due to social attitudes. Pervasive development disorder-not otherwise specified – a condition in which a person has some, but not all, symptoms of autism. Consortium – a consortium is an association of two or more individuals or organisations with the objective of participating in a common activity or pooling their resources for achieving a common goal. This project involves nine organisations including univerisites, non-government organisations and companies who are working together on the FIRST project to create the Open Book software. Deliverable – for the purpose of this project, ‘deliverable’ items are those which are required to be submitted to the European Community’s Seventh Framework Program that provided funding for the development of this software. European Community – an economic and political organisation formed from the consolidation of three western European treaty organisations; the European Economic Community, the European Coal and Steel Community, and the European Atomic Energy Community. These communities later evolved to become the European Union and the European Economic Community was renamed the European Community. For more information, please visit Europa – Gateway to the European Union. 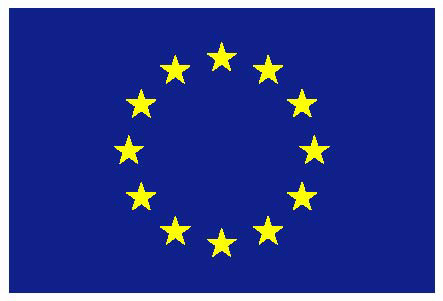 FP7 – the European Community’s Seventh Framework Program for research and development. For more information, please visit the European Commission’s Community Research and Development Information Service. Beta version – a draft version of a software program, released as part of the process of testing its useability before the final version is released. System requirements – refers to the computer hardware components that are required to run a specific software program. User requirements – Definition and more information available from Wikipedia. Web Accessibility Initiative – is an international project that develops guidelines widely regarded as the international standard for web accessibility, as well as support materials to help individuals and organisations understand and implement the concepts of web accessibility. More information is available on the Web Accessibility Initiative website. Anaphora resolution – Anaphora resolution is the process which attempts to determine the meaning of expressions such as pronouns or definite descriptions whose interpretation depends on previously mentioned entities or discourse segments. Ellipsis – a sentence that has missing grammatical constituents (e.g. no verb). Human language technologies – Definition and more information available from Wikipedia. Natural language processing – is the study of mathematical and computational modeling of various aspects of language and the development of a wide range of systems. These include spoken language systems that integrate speech and natural language; cooperative interfaces to databases and knowledge bases that model aspects of human-human interaction; multilingual interfaces; machine translation; and message-understanding systems, among others. Research in NLP is highly interdisciplinary, involving concepts in computer science, linguistics, logic, and psychology. NLP has a special role in computer science because many aspects of the field deal with linguistic features of computation and NLP seeks to model language computationally. Temporal expressions – Definition and more information available from Wikipedia. Lexical – Definition and more information available from Wikipedia. Syntactic – Definition and more information available from Wikipedia.